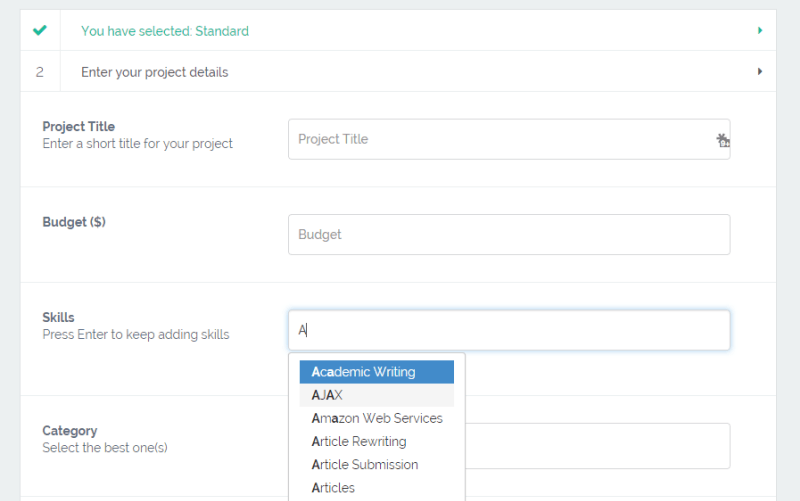 Previously, when freelancers create their profiles, they can just select the “skills” from the dropdown list. It’s a little bit inconvenience since users don’t know which the provided skills are. Therefore, we decided to change the way the “skills list” being displayed. In stead of the old one, freelancers now can select skills from the multi-dropdown list. If you disable the option Select skills from predefined list, users will see a list of relevant skills when they insert some keywords in the blank space. On contrary, once you enable this option, all the provided skills will be displayed and you can choose some from the list. With FreelanceEngine version 1.5, admin can easily approve or decline the orders right from the admin panel. In the Payment tab. In stead of a list of payments, you can find the option to make approval for the pending payment. Simple click on the “Tick” symbol and everything will be done. And of course, you can decline the long-time pending payment by clicking the “X” symbol.